If you've been to the festival you know that there is a certain vibe and a strong sense of community. 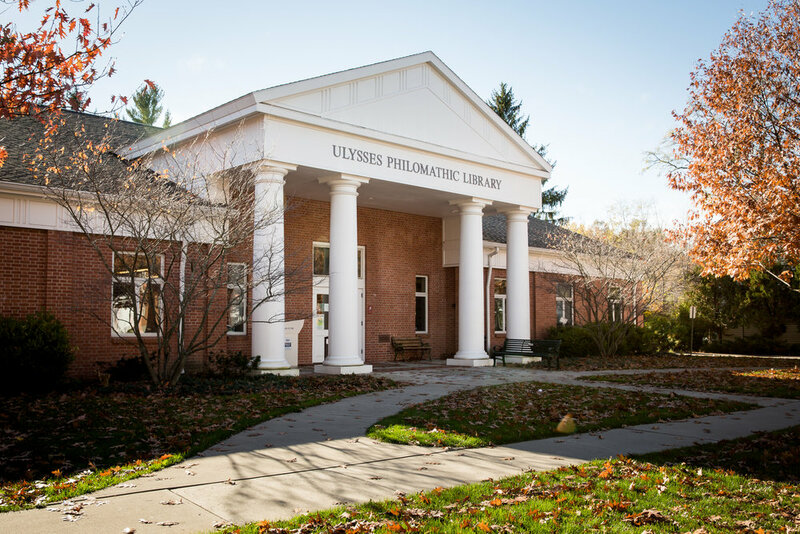 Within the Village of Trumansburg and its surrounding area, you'll find the same thing. The spectacular scenery and wealth of activities make this area ideal for visiting any time of year. 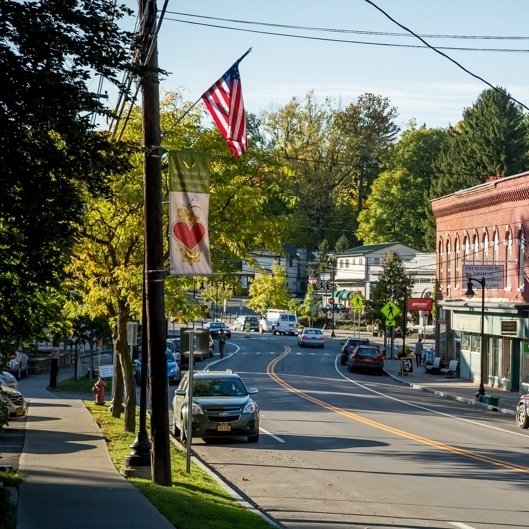 Trumansburg is a wonderful, walk-able, and friendly community with a vibrant Main Street and active locals. Grab a cup of joe at one of the local coffee shops, then mosey down the block to get a tasty bite to eat. Stop in at the bike shop to get a tune up, and browse the shops for a postcard or gift to send to a friend. You won't have a hard time finding quality, handmade products from local artisans here. If you're lucky the used book store will be open. And, if needed, you can wash your clothes at the laundromat, while the kids play at the Children's Village right in front. Whatever you decided to do on Main Street, you will be welcomed! It won't be hard to find food that appeals to your liking in Trumansburg. From fine dining to your average bar food, not to mention the best pizza around, the village is home to eateries with a wide range of cuisine to satisfy even the most discerning palette. Many of the restaurants feature local, farm fresh ingredients in their dishes. Have a sweet tooth? Main Street has some of the tastiest treats you could find, including homemade ice creams and specialty cupcakes. 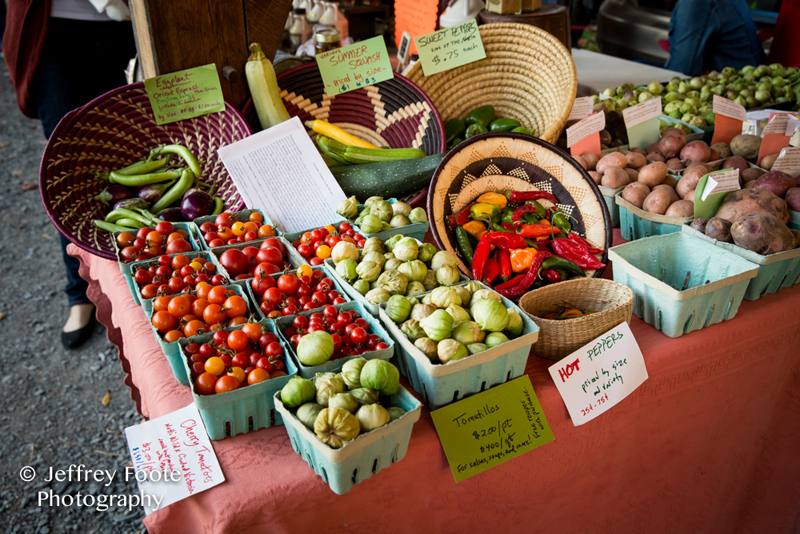 The Trumansburg Farmers Market is held from 4 pm–7pm every Wednesday starting in mid-May and going to the end of October. It is located in the Trumansburg Village Park at the corner of Rt 96 (Main Street) and Rt 227. It is a smaller but lively market with delicious food to eat there or to take home and prepare for yourself. The local produce, meat, cheese, and bread is the pride of our area! There are also some very select crafts, scents, and herbal products. The market also proudly features local music and musicians each week along with additional programs and events. Join us there for a sweet summer evening among new friends and stock up with the tastiest, fresh food our area has to offer! Taughannock Falls State Park's namesake waterfall is one of the outstanding natural attractions of the Northeast. Taughannock Falls plunges 215 feet past rocky cliffs that tower nearly 400 feet above the gorge. Gorge and rim trails offer spectacular views from above the falls and from below at the end of the gorge trail. 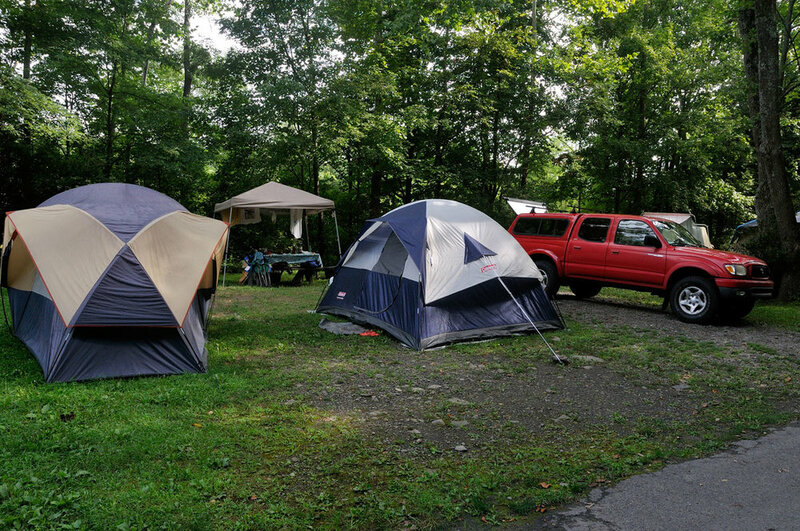 Campsites and cabins overlook Cayuga Lake, with marina, boat launch and beach nearby. A multi-use trail, for hiking or cross-country skiing, winds past sledding slopes and natural skating ponds. The park offers organized activities including tours through the Taughannock Gorge and summer concerts along the lakefront. The Black Diamond Trail is over eight miles of inspiring pathways for biking, walking, and jogging. In the mid-1800's, what is now the Black Diamond Trail was the Black Diamond train track - considered one of the most luxurious train lines in the world. In the 1970's, the idea of a recreational trail was proposed by New York State Parks. Over several decades, planning and negotiations took place, and recently (in 2016) the first phase of the Black Diamond trail was complete! It connects Taughannock State Park, in Trumansburg, to Treman State Marine Park (by Cass Park), in Ithaca. Henry Smith Woods, the verdant threshold to the Village of Trumansburg, is easy to miss if you’re not familiar with the area, or perhaps even if you are. You'll find it across from the Trumansburg Fairgrounds at the corner of Rt 96 and Cemetery Rd. What many don’t realize is this 32-acre forest is home to our village’s oldest living residents. In fact, Smith Woods has more than four 150-200 year-old trees per acre, giving it the distinction of being called “old growth”. It’s one of few Finger Lakes forests that was not clear-cut in the first decades of European settlement. The GrassRoots Festival comes to the Finger Lakes just once a year, but these woods are always there. Take a moment, anytime of year, to visit your elders, our wild neighbors, and dance to the music nature makes. -excerpted from Kate Frazer's 2016 story, "Our Other Roots"
The Cayuga Lake Wine Trail is the first organized and longest running wine trail in the country. Taste wine that’s earned over 6,000 national and international medals. See breathtaking views of Cayuga Lake, Taughannock Falls, and rolling vineyards. Visit wineries, cideries, distilleries, a meadery, and a taproom – all welcoming visitors year-round. Love hard cider? Cider curious? Trumansburg is nestled right in the heart of craft cider country, and you can taste the best of what our community has to offer. Cider tasting is like wine tasting. The complex flavors of a fine cider reflect the local terroir and apple varieties. Many of the distinctive ciders produced here are pressed fresh from apples grown in small orchards, steeped in the rich glacial soils of the Finger Lakes. Every year, in October, over a dozen artisan producers come together to bring you Finger Lakes Cider Week. Please, visit their web site and seek out some of the best ciders around. The entertainment scene in and around the Trumansburg area is always sure to please. Outdoor enthusiasts will enjoy opportunities for biking and hiking trails, kayaking, boating, golfing, fishing, hunting, snowmobiling, or cross country skiing. If there isn't a great band playing at one of the local bar or restaurants, there is always something going on at the bowling alley. In addition, the Trumansburg Conservatory of Fine Arts boasts an impressive year-round entertainment lineup. If you are visiting in the summer, be sure to check out the free concerts at Taughannock Park, and in mid-August plan a day at the Trumansburg Fair. For a comprehensive listing of lodging options and other handy local information, check out the Tompkins County Visitors Bureau.